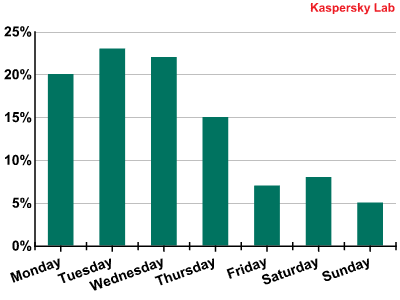 All statistical data presented in this report were obtained using Kaspersky Lab’s botnet monitoring system and Kaspersky DDoS Prevention. Distributed denial-of-service attacks are no longer being carried out simply to make a profit. Cybercriminals are increasingly targeting government resources or the sites of big companies to show off their skills, demonstrate their power or, in some cases, as a form of protest. These are exactly the sort of attacks that get maximum publicity in the media. 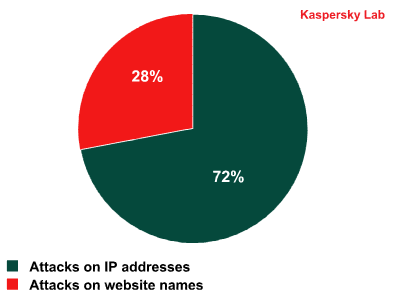 The most active hacker groups in the second quarter of 2011 were LulzSec and Anonymous. They organized DDoS attacks on government sites in the US, the UK, Spain, Turkey, Iran and several other countries. The hackers managed to temporarily bring down sites such as cia.gov (the US Central Intelligence Agency) and www.soca.gov.uk (the British Serious Organized Crime Agency (SOCA)). This shows that even government sites safeguarded by specialist agencies are not immune to DDoS attacks. Attacking government sites is a risky business for hackers because it immediately attracts the attention of law enforcement authorities. In Q2 of 2011, for example, more than 30 members of Anonymous were arrested on suspicion of launching DDoS attacks on government sites. More arrests are likely to follow as authorities continue their investigations. However, not all those involved are likely to be convicted because participation in the organization of a DDoS attack is still not considered illegal in many countries. One big corporation subjected to a major attack was Sony. At the end of March, Sony brought legal action against several hackers accusing them of breaching the firmware of the popular PlayStation 3 console. In protest at Sony’s pursuit of the hackers, Anonymous launched a DDoS attack that crippled the company’s PlayStationnetwork.com sites for some time. But this was just the tip of the iceberg. According to Sony, during the DDoS attack the servers of the PSN service were hacked and the data of 77 million users were stolen. Whether or not it was done intentionally, the DDoS attack by Anonymous served as a diversionary tactic for the theft of huge volumes of data and which, at the end of the day, affected Sony’s reputation. The second quarter of 2011 is likely to be remembered by Russian Internet users for the series of attacks on LiveJournal. The resource is popular with a variety of people, with housewives, photographers, pilots and even politicians posting blogs on the site. According to our botnet monitoring system, the mass attacks on LiveJournal began by targeting journals of a political nature, in particular, that of the anti-corruption and political activist Alexey Navalny. Our botnet monitoring system has been tracking a botnet named Optima which was used in the DDoS attacks on LiveJournal. In the period between 23 March and 1 April Optima received commands to attack the anti-corruption site http://rospil.info, http://www.rutoplivo.ru and http://navalny.livejournal.com as well as the furniture factory site http://www.kredo-m.ru. On certain days only http://navalny.livejournal.com was attacked. At the beginning of April the botnet received a command to attack a long list of LiveJournal addresses mostly belonging to popular bloggers who cover a wide range of subjects. 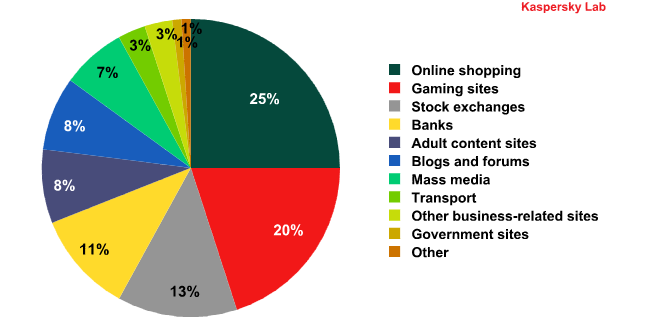 The Optima botnet has been known on the market since late 2010. From the type of code used, it is safe to say that Optima bots are developed by Russian-speaking malware writers and they are mostly sold on Russian-language forums. 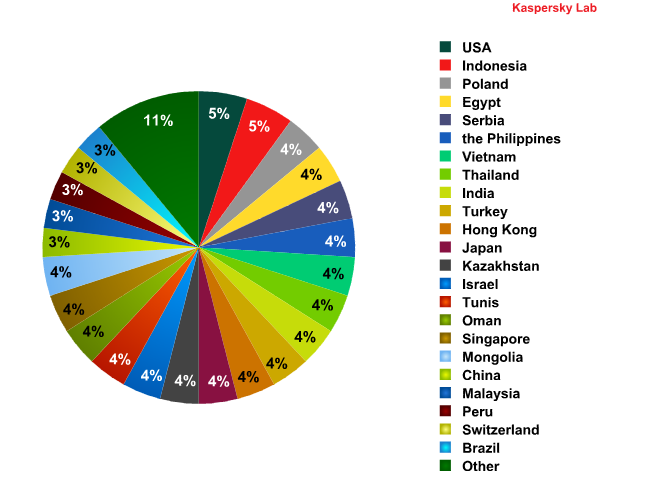 It is difficult to determine the size of the botnet because it is highly segmented. However, our monitoring system has recorded instances of the Optima bots that attacked LiveJournal receiving commands to download other malicious programs. This suggests the Optima botnet includes tens of thousands of infected machines because such downloads are considered unprofitable for small botnets. The motive for the attacks on LiveJournal remains unclear as nobody has yet claimed responsibility. Until the cybercriminals behind the attacks are identified, it will be difficult to say whether the attacks were ordered or just a show of force. DDoS attacks on social media are becoming more frequent because these services allow the immediate exchange of information between tens of thousands of users. Blocking this process, even if it is just for a short time, can only be achieved with the help of DDoS attacks. We expect to see a further growth in these types of attack in the future. 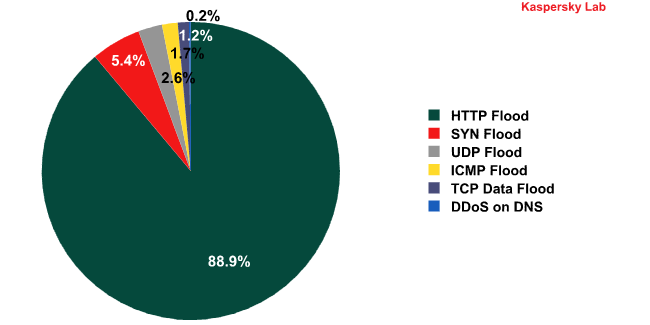 Ordinary criminals also continue to make active use of DDoS attacks. However, information about attacks that aim to extort or blackmail organizations is rarely made public and when it is, it is usually related to the subsequent criminal investigation. In April, a court in Dusseldorf handed down a sentence to a cybercriminal who tried to blackmail six German bookmakers during the 2010 World Cup. The culprit used the familiar routine of: intimidation, a trial attack on the victim’s site, and a message containing a ransom demand. Three of the six offices agreed to pay off the attacker. According to the bookmakers, a few hours of website downtime can result in the loss of significant sums – 25-40,000 euros for large offices and 5-6,000 euros for smaller offices. Surprisingly, the scammer only demanded 2000 euros. He received money in U-cash vouchers – a method which had already been used by the author of the well-known GpCode Trojan program. The court sentenced the defendant to nearly three years in prison – the first time in German legal history that someone has been imprisoned for organizing a DDoS attack. Such attacks are now classified by the country’s courts as computer sabotage and are punishable by up to 10 years in jail. In June, the Russian judicial system also addressed the subject of DDoS attacks. On 24 June, a Moscow court sanctioned the arrest of Pavel Vrublevsky, the owner of ChronoPay, Russia’s biggest Internet payment service provider. Vrublevsky was accused of organizing a DDoS attack against competitor firm Assist in order to undermine its chances in a tender for a lucrative contract to process payments for Aeroflot, Russia’s largest airline. Sources close to the investigation said Vrublevsky was also considered the owner of the Rx-Promotion affiliate network which specializes in spreading pharmaceutical spam. DDoS attacks have long been used for criminal purposes, but recently they have increasingly been used as a form of protest against the activities of both governments and major corporations. Such attacks receive widespread publicity in the mass media and are usually the subject of investigations by law enforcement agencies. We can expect to see the sites of government bodies in various countries increasingly come under attack as DDoS-based protests gain in popularity. This does not mean that DDoS attacks are no longer used for extortion and blackmail. The victims, however, rarely acknowledge such incidents in order to protect their reputation. 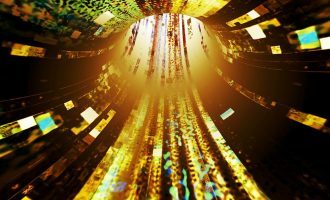 Cybercriminals are also increasingly using DDoS attacks as a diversionary tactic when launching more sophisticated attacks such as those on online banking systems. Complex attacks of this nature are particularly damaging in that they can cause significant losses for the financial institutions as well as their clients. Most of the websites that we encounter as a result of DDoS attacks require much stronger protection. This is especially true as the summer holiday season comes to an end and more computers are switched on again, including zombie machines controlled by botmasters that will only make DDoS attacks more powerful and damaging.